Written by Canada Business Network. Canada Business Network has presented previously at Central Library's Small Business Café on this topic. Writing a business planopens a new window is an important step in starting a business. 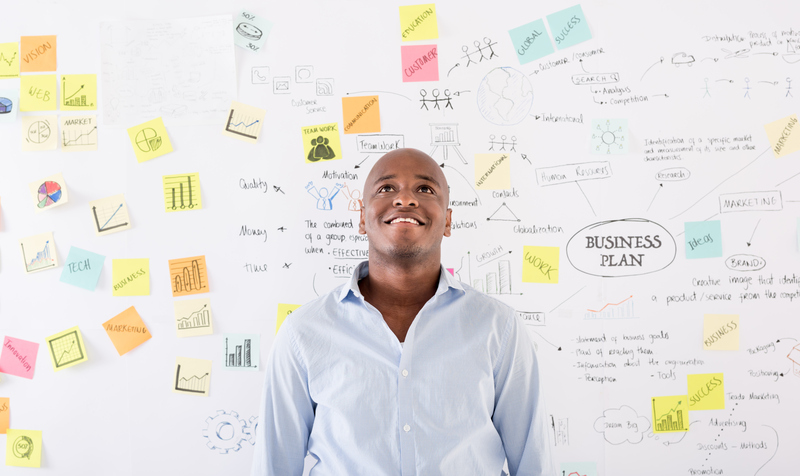 You might think of a business plan as a long, hefty document. Perhaps thinking of all that work discourages you? It shouldn't keep you from starting your business. There are alternatives to traditional business plans. A business plan can be as short as one page, or it can even be something more visual, like a chart. Different business plans serve different purposesopens a new window but they contain a lot of similar information. What's important is that your plan contains information essential to a business plan. Keep it useful. A clear vision. What will you do, and how will you be different from any competitors? What value proposition does your business offer? A mission. Give an idea of what your business looks like when it's operating. How will your business model look in action? Some goals. These should be measurable achievementsopens a new window, consistent with your mission, bringing you towards your vision. A strategy. This can be both a map to meeting your goals and a place to take stock of your situation. What are your target markets, resources, costs and revenues? How do you reach out to customers and partners? What needs improvement? Your answers don't have to be long but they should be well-thought out, and a business plan, long or short, never goes unchanged. It should adapt to the situation. Shorter business plans can be useful for planning and pitching your businessopens a new window. But, they're not always appropriate. For example, if you're speaking with investors or a loan officer, they may want a traditional business plan as well. They will want more details to ensure you have considered the potential challenges that may arise while starting your business. Writing a traditional business plan doesn't have to be your first move. You can start with a short plan. It helps you think through the challenges of your business and to see if your ideas will turn a profit. Once you've started your business, your plan can help you stay organized, focused, and it'll help you identify your next movesopens a new window. Canada Business Nova Scotia is made up of a small team of passionate individuals, located right in the heart of Downtown Halifax. We are able to help you navigate through the worlds of government programs and services, regulations and permits, succession planning, market research, and much more.